Fantasy art can range from something subtle, to something bizarre. There are those who like the art that drifts into the dark side, of ugly creatures and the sort. Me, I like to do the subtle fun fantasy art stuff. Or maybe Sindbad and his Arabian adventures. Art like this is great fun to do and this fantasy art makes a great gift for a birthday, or Valentines, or Christmas or just because you want one! They are a great idea because they can be used is a variety of ways. 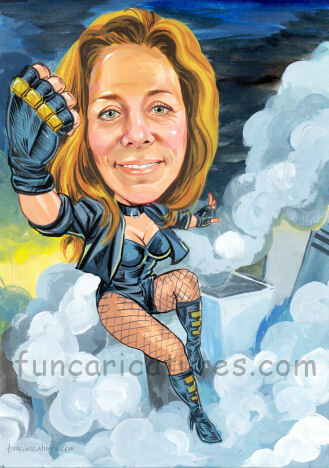 Your fantasy caricature art can be printed and framed for the wall, on a canvas or put it on a T-shirt, or a coffee mug. They also make great screen saves for phones and computers. Fantasy is imagination and as an artist I’d like to help you turn that fantasy into a lasting memory! So feel free to click through to the main site and had a look around and be inspired.